Hello everyone ! This was suppose to be out over the weekend but it was sooo warm yesterday that lifting my fingers to type out this post was difficult.. yes, excuses! haha, I know. So anyway, today I will be sharing on my first HG product! I'm really excited because so far , I've not used anything that really wowed or blown me off so much that I'm all ready to name it as a HG. But OMG, this is definitely going to be my first! ALERT - This is a bottle of awesomeness !! No kidding. In just a few days of using this essence, I can feel my skin's elasticity improving. Who would think that I can still have bouncy, supple skin like 10 years ago in my teens?? Yes nobody! But this essence just made my skin and ME so so happy. My skin is bouncy, radiant and moisturised after using it. I'm so glad I have discovered this product. Lirikos is a marine-inspired cosmetics brand that is like a Korean version of La Mer that uses minerals from the deep sea in its products. It is not so well known outside Korea but a very popular one in Korea. And the ambassador is a goddess - Go Ara!! So what is this treatment all about? I've not found a lot of information online so I'm just going to go with the description that came with the product.
" The Lirikos Marine Triple Treatment is a multi-essence that sets your skin, moisture, whitening and elasticity balance by using 90.93% marine triple plankton, which contains the original vitality of life. Brown Plankton has excellent adaptation skills as well as self-regeneration abilities in extreme environments and contains omega 3, fucoxanthine and peptide (an anti-ageing powerhouse ingredient used in many skincare products) to enhance the power of your skin, thereby supplying vitality. Blue Plankton is able to remove harmful radicals with strong anti-oxidation functions. It contains amino acids , vitamins and minerals that provide moisture to skin and strengthens skin barrier. Green Plankton is a self serving plant that creates its own nutrition through photosynthesis; the unbelievable force of life that divides itself into 4 cells in just 24 hours will provide nutrition to your skin. This essence has no scent and is transparent. The texture is very light and watery. In fact, it actually looks and feel just like water. But in the world of water, this must be the best beauty water! I really love the easiness of this product. 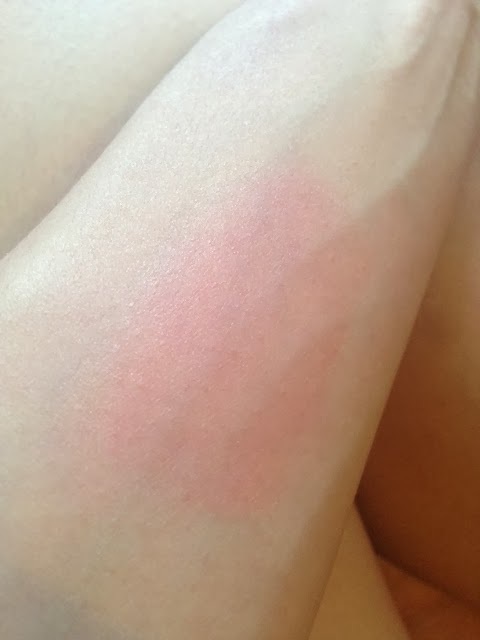 It is non-sticky at all and absorbs so quickly into skin. But you can still feel that instant surge of moisture on your face and skin is instantly brightened ! I know I've also sang praises of the IOPE Bio Intensive Conditioning essence but this gives far better results in my opinion and experience. If you are tired of dull looking skin I would definitely, definitely recommend this! I got this for about SGD$60 for 140ml at G-market global from this seller below. I've purchased from this seller twice and so far it has been a positive experience ! I've been on a Primer craze lately! Because I realised that putting on primer before any makeup really makes a whole lot of difference ! As I read in a beauty article - Not to prime is a crime! Obvious foundation streaks , noticeable pores, redness around the nose - these are all makeup blunders which can be avoided just by adding one simple step in your make up routine :) And seriously, it is a noticeable difference! And so I've been researching and trying out a few primers. As you can see from the image below I've been testing out 4 primers. From left : Innisfree no sebum mineral primer , Faceshop Face it Primer Velvet skin , Banila Co Prime Primer Hydrating version and the Benefit the POREfessional Primer. Today I'm going to review them base on a couple of factors that I feel is important for a good primer. Best value for money - Innisfree no sebum mineral primer. This is the least expensive primer, retailing at SGD18 (would be much cheaper if you can get it in Korea). This does a great job in creating a smooth canvass before you put on foundation or CC/BB creams. Most importantly, this keeps your face oil free throughout the day! 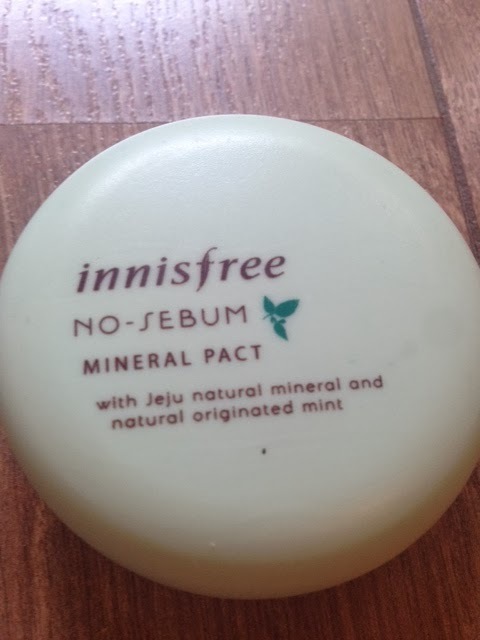 I got the Innisfree no sebum powder pact which I reviewed in my previous blog post and it was such an amazing product in keeping my face oil free throughout the day even during those humid warm weathers. So I was excited to give this primer a try which comes from the same line. This primer really keeps your face matt and oil free for a long time while also smoothing out skin. It does conceal pores but still slightly visible. Best for large pores - Like the Innisfree primer, the Benefit POREfessional primer also gives a matt finish and it is a must have if you have large pores like me. This does a wonderful job concealing all my pores! This is also great for those with oily skin or who likes a matt finish. This would be a must have primer if budget is not an issue :) This costs about SGD48 at Sephora. Best for Dry skin - Faceshop Face it Primer Velvet Skin /The Banila Co Hydrating Primer. The Banila Co Primer actually has a more moisturising texture but I feel that because of that it is too watery for a primer. Least effective in terms of smoothing out skin and concealing pores. I was quite disappointed because Banila Co is supposedly known for producing good primers. And also it costs me about SGD30 including shipping when I bought it from Qoo10. This could be because I had chosen the hydrating one. This range also comes in classic and matt. The Faceshop Primer Velvet Skin is my favourite Primer. And I'll tell you why. Firstly I like its texture most as compared to the rest. It is lightweight and not as thick and hard to spread like the Benefit and Innisfree ones. This Faceshop primer glides smoothly onto skin. It also does a good job concealing pores and smoothing out rough skin bumps. Thirdly, this primer does not dry out your skin and my makeup can last a loooonnnggg time. Lastly it's considered pretty affordable. This is retailing for about SGD30 at local stores. My only complain is that this does do much in terms of oil control and I find that towards the end of the day my face turns slightly oily and shiny even though I have combination to dry skin. Hello everyone! Today's post is on another moisturising cream that I got recently together with the Primera Alpine Berry Watery Cream when I was looking for a really good moisturising cream to save my dehydrated face. In the end I couldn't decide which to get out of the two and went ahead to get both! 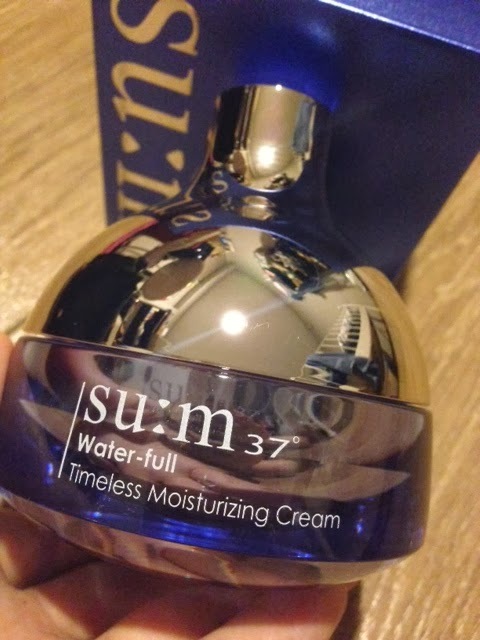 Su:M37 is a brand under LG and the feature of this line is that it contains fermented ingredients - fermented lotus extracts, fermented bamboo sap and fermented fruit water which helps skin to maintain vitality and moisture for long periods of time. I purchased this cream on Qoo10 for about SGD57. I chose the cream type over the gel because I wanted a richer cream that I can use at night. But it slipped my mind that I had also recently purchased another anti-aging cream to be used at night (how absent minded :P) so I decided to use this in the morning. This cream is not as thick and rich as I expected it to be and it is very easy to apply. It also has a very light pleasant scent. It glides on to skin smoothly and I'm not sure if it is due to the bottle container but the product is always cooling when I apply it on my face which is a good feeling. 1. Slightly sticky when I apply it on my face. 2. Packaging - this cream comes in a bulky jar which is difficult to carry around for travel. Overall verdict - A good moisturising cream for those with dry, or dehydrated skin. It lives up to what it claims to do. However, I think there are cheaper options out there which are equally good. For me I would repurchase the Primera Alpine Berry Watery Cream (my review here) instead of this cream simply because the Primera one is much cheaper and equally effective in keeping my face moisturised well. Hello! I'm back with another post. I've done a couple of reviews so i thought I will do a different one today. I will be sharing some of my favourite make up items that I recently bought and lurrrvvveeee ;). 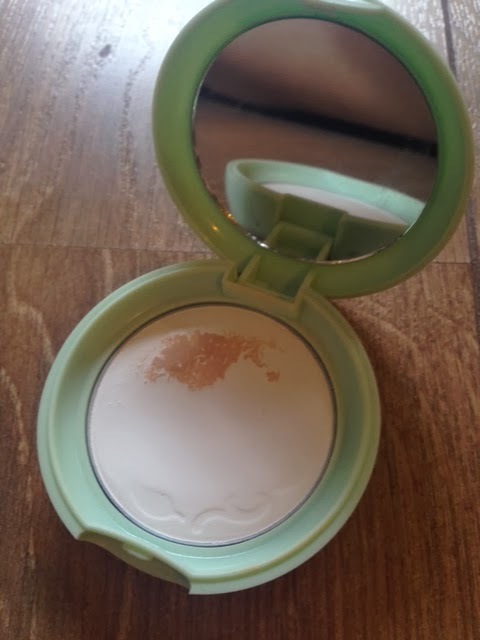 This has got to be my favourite Innisfree product! The packaging is not exactly spectacular but this product does a really amazing job in controlling oil/sebum for long hours. Sorry for the photos with the stain on the pact. I had accidentally spilled BB cream on it and its been there ever since. I'm using the rest of the parts of the pact now. I dab this with the sponge given on my eyelids and my eyeshadow and eyeliner stays on for at least 9 hours without budging. I also brush this lightly over my makeup and this makes my face smooth and oil free for the entire day without making my face look cakey. This retails for about $15 at my local Innisfree store and I think this is the best item from Innisfree which I've used so far. This pact can last for a really long time. I've been using this more often recently because it's especially warm here in Singapore during this time of the year and I will sweat like crazy the moment I leave the house. I highly recommend this if you have oily skin or living in a hot country like me and you do not want your make up to melt through the day. 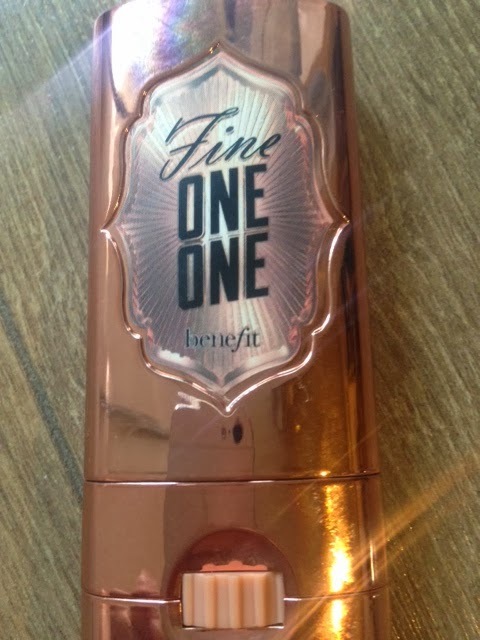 I got this Benefit Fine-One-One sheer brightening cheek & lip trio and it is awesome ! It consists of the colours Pink Champagne (works as a highlighter), sheer watermelon and soft coral that blends together to give your look an instant LIFT, SHAPE and POP. How to use : Glide from apple of your cheek to your temple and then blend with fingertips in an upward circular motion. I don't usually use this type of cream blusher because in past experience, the cream dries up so fast when you apply on your cheeks that it is hard to blend and even out the colour. But this product blends so well and easily! 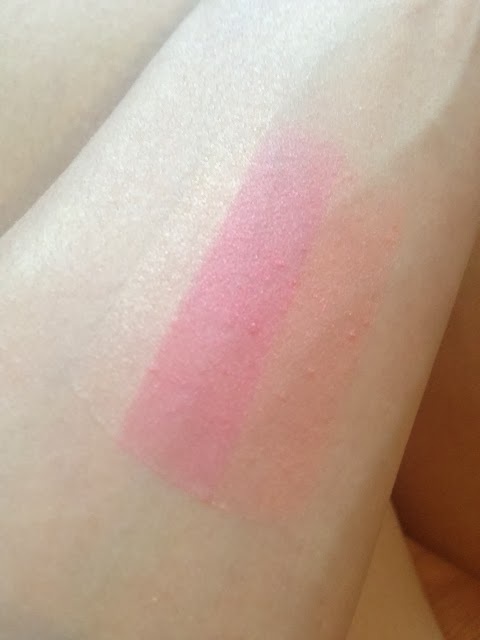 Honestly the pink looks scary when I first glide the product to try on my hand as I don't usually apply bright pink shades on my skin. But after blending,it turns out to be a really natural coral colour. I really like the in-built highlighter because it really gives you a natural healthy glow on your cheeks without making it seem like you have anything on your face. I also use my finger to apply the highlighter on my T-zone to give it a natural glow. 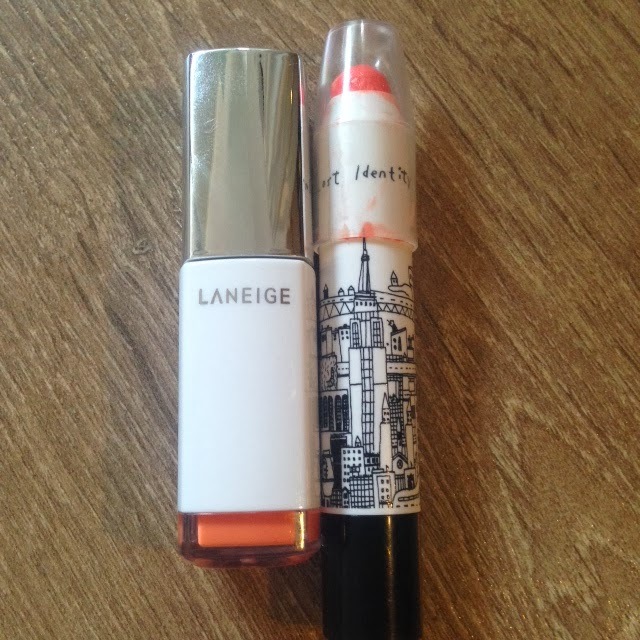 I have a serious love for these two lip tints! They are such wonderful products that I am in awe with the team of beauty makers that created these two items. 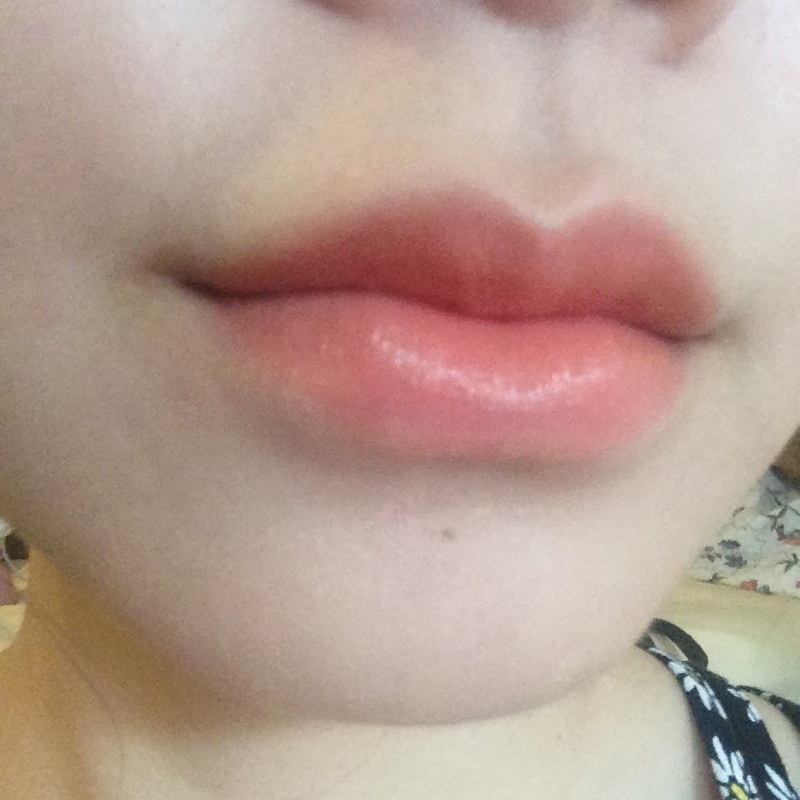 The Laneige Waterdrop Tint has got to be my favourite tint. It is like a tint and gloss together. It is moisturising, highly pigmented and long lasting. It is soo easy to apply. When I'm in a hurry in the morning without a mirror with me, I just swipe this tint on my lips once and it will still turn out awesome. I got this for SGD22.90 on Qoo10 because it is not launched in Singapore yet. It is alittle pricey for lip tint but It is so awesome that I am going to repurchase it and try another colour. 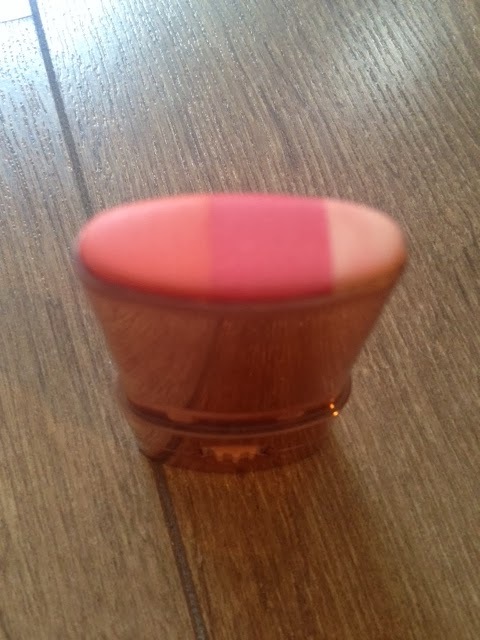 My second favourite tint has got to the 'Dinoplatz Lost Identity' from Too Cool for School in the colour 'Lost in Hawaii' (what a mouthful haha). 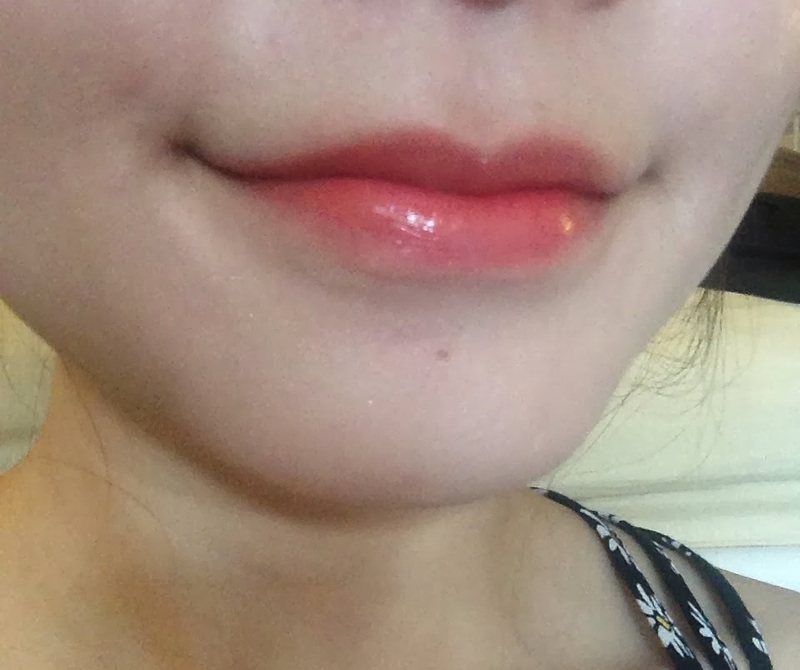 This is a sheer tint but I love the orange shade because it is just so natural after applying and this tint is very moisturising. However this is not as long lasting as the Laneige one. It comes in a retractable stick which is really convenient and cute. This is about SGD15 on Qoo10. Hi everyone, this is a post on my experience with Sulwhasoo's products. I bought 2 of their products last Christmas as a gift to myself (I know, it's another excuse to spend money :P). Anyway my facial skin was really dull and not looking good at that time. I was really looking to splurge on something that can rejuvenate my skin and slooowww doown ageing. I heard so many raves about the First Care Activating Serum and couldn't resist trying it even though it costs a bomb! While at the counters, I also got the Rejuvenating eye cream for my undereye fine lines too. The sales lady was really kind to give me a sample of the gentle cleansing oil and cleansing foam which are actually pretty huge for a sample. From what I gathered, this acts like the IOPE Bio Essence Intensive Conditioning except that this is in the form of a serum so it's slightly thicker in texture. What it claims on its website - Formulated to replenish essential moisture and nutrients and to boost the effect of every subsequent treatment. Milk-vetch, licorice, and dwarf lilyturf work synergistically to optimize the Korean herbal ingredients in the complete collection while deeply hydrating. I followed what the sales lady said to apply this right after cleansing. The product is dark brown in colour and expectedly,has a ginseng scent like the eye cream. Hence, if you are sensitive to strong or herbal scents, you might want to give it a sniff at the stores first to see if you are ok with it. But one point to note is that the ginseng smell gradually disappears once the product get absorbed into skin. my face looking radiant and glowy.. I've used about 1/4 of this and honestly, this doesn't cause any breakouts or worsen my skin condition but in terms of visible improvement to my face condition, so far I've observed none yet. I am also not sure whether it helps boost the skincare products I apply after this. As a moisturising agent, this does ok but I still require a moisturiser. I'm thinking perhaps I need to use this for a longer period of time before the results are visible. But if you are considering to purchase this I would recommend to try a sample first. This is my favourite item and I'm glad that I purchased this. This retails for about USD60 but I think it will be cheaper on online stores. What it claims -This age-defying eye cream revitalizes skin around the eyes, reducing lines and wrinkles and minimising dark circles and puffiness. Enzyme treated Korean Red Ginseng Saponin Effectively minimises wrinkles around the eye area and Yai Jiu hua and honey promotes skin's natural skin circulation to combat dark circles and puffiness. This eye cream is light weight with quite a pungent ginseng scent. For me this works really well for fine lines. I've read that fine lines cannot be totally removed unless with surgery but skin care products can help to lighten and make the lines less visible and prevent it from worsening. This eye cream really does well in terms of lightening the lines on my undereye area and on the whole makes my eye area looks more supple and "lifted". pretty bad and I ended up having to buy the Clinique dark circle corrector which is so so awesome ! I'll talk about this really soon. I think this is a good investment if you are looking for something to reduce the look of fine lines on your eye area. This is my 2nd favourite item from Sulwhasoo. I got this as a sample and have used it a couple of times. This cleansing oil does not have a ginseng smell haha like finally.. instead it has a light herbal/mint scent. What I really love about this is that it doesn't irritate my eyes at all so its really safe to use to remove eye makeup. And second thing is that it doesn't dry out the skin and my skin feels smooth and still hydrated. This cleansing foam is my boyfriend's favourite. He was using this while we were travelling together. He really liked how this foam cleanses the facial skin without causing it to dry out and no tightness feeling after using it. This product is really similar to the cleansing oil in terms of appearance (brown liquid) and smell. This is retailing for about 36USD I think.